There is a magnificent upcoming Skoda model that is going to stun crowds all over the globe. The Kodiaq is a massive seven seat car and is engineered on the advanced Volkswagen MQB platform. 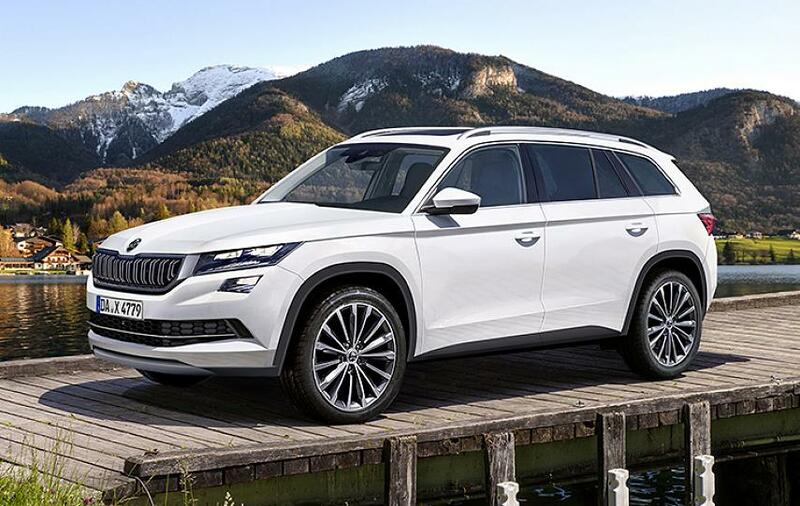 Skoda will introduce Kodiaq in Europe in 2017 March and an Indian launch is expected to happen sometime in 2017 August or September. Kodiaq is a spectacular SUV and it is going to have vastly spacious interiors and this is one fantastic vacation model with a massive 720-liter boot capacity that can expand to 2065 liters. For some interesting information Kodiaq is the biggest SUV ever to be engineered by Skoda and this model is going to have a new design language called Vision S Concept. The design features that signify advanced creativity is impressively muscular exterior architecture and cutting-edge lines. From dimension point of view, Kodiaq is just splendid, it has a height dimension of 1,676mm, width measurement of 1,882mm and it is 4,697mm long. The wheelbase dimension is 2791mm and the leg room space extends to a massive amount of 104mm. The creatively distinctive exterior features that adds highly level of uniqueness to Kodiaq is trendy C-shaped LED tail lights, angular wheel arches, short overhangs, arty narrow headlights and professionally designed three-dimensional radiator grille. Skoda will introduce the car in three variants, Style, Ambition and Active. The interior of Kodiaq is stunning, watch out for these features, ambient lighting, premium leather upholstery, tri-zone climate control (optional feature). The car will have a marvelous 6.5-inch screen and Skoda SmartLink connected to Mirror Link, Android Auto, Apple Car Play support and Bluetooth connectivity. Skoda will introduce Kodiaq with a highly efficient 2.0-liter diesel TDI and 1.4-liter petrol TSI power-train. The engines will be coupled with six-speed manual transmission and according to reports the company is likely to introduce an optional seven-speed DSG unit and the transmission of power will happen through a novel all-wheel drive system. The car will have a Dynamic Chassis control and this will enable the car to switch to various modes on suspension, transmission, throttle response and steering. The high-end technology present in this car is 360-degree camera, Skoda Connect touchscreen infotainment unit with Apple car play and Wi-Fi, emergency system and so on. The expected price of the car is Rs 18 to 20 lakhs. Toyota is going to launch the new Fortuner soon on the 7th of November and this is an interesting new Fortuner to look forward to. The car is built on an innovative Toyota New Global Architecture platform and the new Fortuner is going to have a greater styling depth compared to its predecessor. The car will have amazing LED projector headlights with an artistically sculpted chiseled grille and professionally designed wrap around LED tail lights. 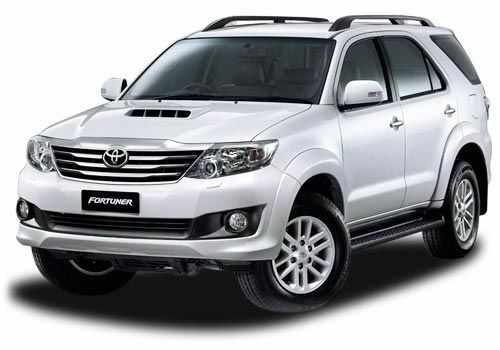 The quality of interior of new Fortuner is going to be plusher than the previous car. Nothing has changed on the mechanical front, the new Fortuner will be built with 2.4-liter diesel engine that will yield fierce energies of 343Nm and 148PS and is linked to five-speed manual transmission. The bigger diesel power-train is built with 2.8-liter capacity and it churns 360Nm and 177PS. According to reports, the company is likely to introduce a petrol engine built with 2.7-liter capacity. The car is sold at a price of Rs 25.2 to 27.36 lakhs. Chevrolet Trailblazer is a great looking car and it is a SUV with a signature design visible on the projector headlights fitted on the edge of bonnet and there are three fog lights. On the bumper you will notice an artistic bull bar kind of structure and it is painted in black to create a dynamic floating image. From the side Trailblazer looks like a typical SUV and the creativity is visible on the soft flared wheel arches, sharp raked front windscreen and high roofline. The rear profile looks boxy and the wrap around tail lights filled with sparkling chrome builds the aesthetic value of the car and it heightens the premium appearance value of the car. The interior of Trailblazer looks great, covered in a vibrant beige and black theme, the décor looks highly futuristic. The features that make the interior amazing and high-tech are world-class infotainment system with touch screen display, fantastic blue backlit instrument cluster, audio fitted steering, premium upholstery, electrically adjustable seats, wash and wipe function, cruise control and electrically adjustable mirrors and foldable rear seats. For Indian markets, Trailblazer is powered with an efficient 4-cylinder 2.8-liter engine that churns 500Nm and 197bhp. The car is sold at a price of Rs 27.5 lakhs. Endeavour is a class-apart SUV designed by Ford, and the company has recently introduced the new-generation model in India. The car is engineered on a pioneering Ford Edge design philosophy and the distinctive features present are four slat chrome grille, innovative front styling, new fog lights and the chrome decoration builds the aesthetic value of the car. A prominent change to take note of is the neatly built shoulder line that tapers at the rear, and also watch out for new alloy wheels and arty chiseled wheel arches. The rear view is great visible on silver accents and horizontal wrap around tail lights. The interior has three-spoke steering wheel, world-class touchscreen display and the 4×4 model has electronically locking rear differential, hill launch assist and hill descent control. The Indian spec Endeavour is offered with two diesel power trains built with five-cylinder 3.2 liter and four cylinder 2.2-liter capacity. The 2.2-liter car yields 385Nm and 158bhp and the 3.2-liter car pumps out 470Nm and 197bhp. 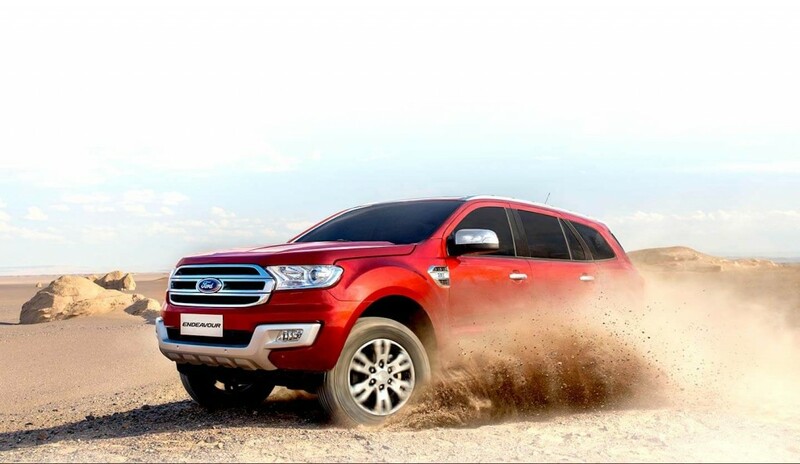 Ford Endeavour is sold at a price of Rs 24.7 to 30.29 lakhs. Skoda Kodiaq is going to be among the most remarkable launches in the SUV segment, and this car is filled with supreme design innovation, incredible interior space and class-performing engine capacity. For people in India who are really excited about the Kodiaq this is a fantastic SUV and this is certainly a threat to its competition.